Can you tell us about how you ended up at Remedy and what your everyday operations look like as the CEO? – I’ve been in the game industry since 2002, after becoming a CEO of a Finnish game company RedLynx. Ubisoft acquired the company in 2011 and I continued leading RedLynx until 2015, when I stepped down from the position. I took it easy for a while, took on couple of board positions, did some consultancy, and spent more time with my family. 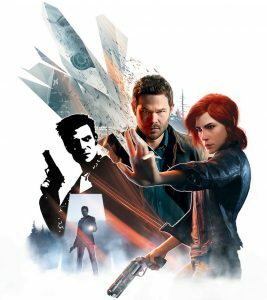 – I did consulting for Remedy Entertainment in early 2016 and got to know the company, its strengths and development areas, and got a good feeling of the potential Remedy had. At the same time, the then-current management of the company got to know me better. 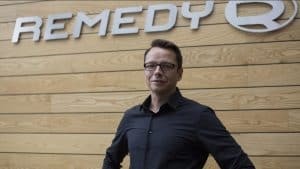 Our thoughts on the future were aligned enough and our skills complemented each other, and as a result, I was appointed CEO of Remedy Entertainment in August 2016. – Remedy is filled with motivated, creative professionals who know their respective areas much better than any leader or manager can. I want to help teams and employees clarify their goals and make sure they have the kind of environment and means they need to succeed. I help to create opportunities and remove blockers before they become challenges and stay aware of how things are proceeding, but at the same time, I want to give people enough autonomy and stay out of their way. – My goal is to let our employees fully utilize their amazing talent and potential. This is why my days mainly consist of spending time with groups of people or discussing and coaching individuals, at times planning or doing early preparations on my own and eventually taking them further and making happen with others. 16 years ago, you joined a gaming company called RedLynx. Since those days, how has the industry changed and what are your thoughts on coming years? – It has been a huge change. The game industry is constantly affected by a number of change drivers. Technologies, consumer electronics, media and entertainment, earning models, legal changes and consumer tastes, just to name a few. On top of that, creativity plays a big role in game development, and plenty of new game innovations have happened during the past 16 years. – When you look at it from a broad perspective, however, the battle for audience attention just keeps on intensifying. 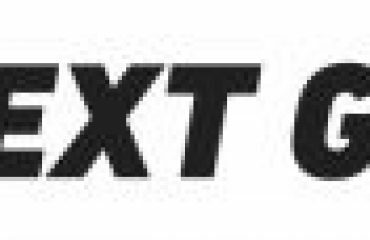 This was already visible 16 years ago, and it continues to be one of the big underlying trends in media, entertainment, and therefore in gaming as well. – There are more and more services, content and spare-time activities fighting for consumers’ limited time. This trend has had and will continue to have a number of major implications. The rising costs of user acquisition and marketing, the growing need to retain your users, the move from short-term products to long-term services, and many more. Just like your Swedish rival Starbreeze, you got your hands one of the biggest IPs in the industry: CrossFire. Can you give us some info and expectations on the upcoming game? – Knowing our history of creating cinematic story-driven experiences, Smilegate saw Remedy as a highly interesting partner to develop an engaging and immersive single player campaign for their upcoming sequel to CrossFire. Getting to know Smilegate and CrossFire has been very inspiring, and our collaboration has turned out to be a great fit. Everything has proceeded and worked well, so we are very happy to continue working with Smilegate on a second project. – Working with one of the biggest players in first-person shooters has been a great opportunity for us to expand our expertise from third-person action games, learn more about games as a service, and especially the Asian games market. – Marketing, communications and publishing for the CrossFire projects are all handled by Smilegate, so they will reveal more about the game when the time is right. What can tell us about Control and your partnership with 505 Games? – As an elevator pitch, Control is a third-person action-adventure game about mastering supernatural abilities in a deep and unpredictable world. – Based on our strategy, we wanted to keep the ownership of the Control IP and find a publishing partner who has strong commercial competences. We also wanted a partner with whom we can have a balanced, more equal partnership, in which both parties have their responsibilities, but can still work very closely and efficiently together. Based on the discussions we had with 505 Games, our thoughts were well aligned and complemented each other and provided something to learn from. This was a good basis for partnership. – Control (previously known as P7, which was the project’s codename) is currently in full production mode and will be released in 2019 for PlayStation 4, Xbox One and PC. Control builds on our strengths in action gameplay and storytelling, as well as creating unique worlds and characters. Control has a much stronger focus on deeper gameplay than our previous titles, and the game world overall provides many more opportunities for the player. Control was announced in June 2018 at E3 in Los Angeles, the biggest global event in the game industry, as part of Sony’s PlayStation media briefing. Control received 25 awards and nominations during the expo, including “Best of E3” from the renowned publication GameSpot. Based on all of this, we feel that both the game’s development and commercial activities are heading in the right direction. There are quite a few listed gaming developers today and many of them have been adding a new vertical: publishing external studios’ games. Is this something Remedy is looking into? What is your general growth plan going forward? – Remedy has three key strategic guidelines. We create games that stand out in the market and expand into long-term franchises. We continuously increase our capabilities to operate on a multi-project model, meaning that we can efficiently develop multiple high-quality games simultaneously. We strengthen our position in the industry’s value chain. We work with external IP that offer good value creation potential to us, but we also create our own IP, as we have done with Alan Wake and Control. – Having our own brand portfolio gives us more leverage and potential to build long-term franchises and generate value. This strategy gives us plenty of room for future growth. At the same time, it allows us to focus and excel in things that are important to our strategy. In that sense – at least for now – publishing external studios’ games is not a part of our plans. Remedy has been very innovative over the years, most recent with Quantum Break, where you tied in episodes as a TV-series depending of the decisions you made in the videogame. Going forward, how do you structure your work to always stay ahead and continue pushing the limits of game developing? – The games market grows, but it also changes constantly. At the same time, consumers have more options to choose from and to spend their time and money on, in both games and other entertainment. 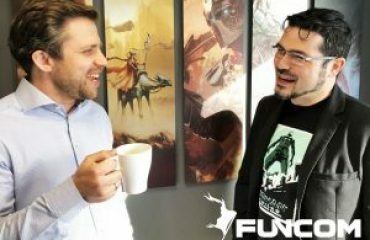 – We have always thought that in order to have the potential for success, our games need to be both high quality and unique in the right way. This means that they need to stand out from the crowd – our games have to be memorable and interesting for our audience. Being able to do this requires certain strengths, experience and expertise that form a foundation to build games upon. – In addition to creativity of design, you need to have skills in many other areas, such as choosing the appropriate type of technology development as well as good interplay of all these elements, and of course, some courage to take the steps needed to create something new. Additionally, we aim to have the right type of publishing partners who offer their perspective on different opportunities, but also financially balance the risks that come with creating something new. A hot topic in the industry has been loot boxes. How does Remedy work with monetization and what is your standpoint on DLCs, loot boxes etc.? – Games are constantly evolving towards longer gameplay times, many towards true sustainable services. These games open up opportunities for longer-term monetization, and to support these types of games, different monetization models are required. – Overall, in any digital services, monetization is one area where experimentation continues, and time will tell which models work in the long-term. 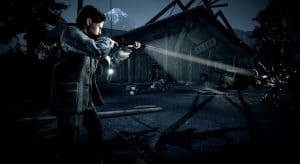 We had DLC available for Alan Wake, and in many ways, they were a great addition. – The right type of monetization has to be always considered both from the point of view of the game and the audience, so whatever we do on this front in the future, we’ll plan it carefully. Many of the Swedish companies have been suffering from lack of talent in the process of hiring new staff. What is the current situation in Finland? Are you finding anything difficult in when it comes to hiring the right people? – There’s always competition for the best talent. I’d say, high quality, distinctive and unique game projects are key in attracting industry professionals to come work for you. – We have focused on our people, and we are very systematic in evaluating and developing our HR practices. This has given us a solid reputation as a valued employer in the industry. It is extremely important that we attract talent, continue to be a good employer, provide our people with motivating projects and roles, give them personal and career development opportunities, support work-life balance, and also support their families. – As a part of this – especially now that we have been proceeding according to our growth-oriented strategy – we have been putting a lot of effort into recruitment during the past two years. We have perfected our recruitment practices and processes, as well as strengthened our recruitment team, and the results have been very good. In the first half of 2018 alone, we have received and quite efficiently processed over 1300 applications, and from this screened and filled around 30 different job openings. On top of that, we had some direct searches as well, which resulted in additional recruitments. – As for Finland, the local game industry employs over 3000 people. Most of them work on mobile games, but many have roots in PC and console game development. Now that mobile has become extremely competitive and people have had a chance to develop mobile games for a number of years, we are seeing some talented developers either return to or seek new opportunities in PC and console game development. – When this happens, Remedy is typically at the top of their list as to where to apply, which is great for us. At the same time, we are an international bunch: currently Remedy represents 25 nationalities and almost half of our 200 people come outside of Finland. Our country has actually been a great selling point on its own, as Finland is known for being safe and clean, offering exceptional quality of life and free education even at university level. In your opinion, what are Remedy´s biggest risks and what are the biggest opportunities going forward? And finally, why should the readers invest in Remedy? – The games market continues to grow and change, and as an inherently digital business, it provides significant growth opportunities for successful companies. However, the level and quality of competition is high. You can’t only stick to the successes of the past, you need to innovate and develop further. Creating something different, unique and new always has its risks, but at the same time, it gives you the basis to develop successful games that face a little less direct competition than there might be in some other sub-segments. – We have a good track record of being able to create unique, good quality games. Control has already gotten an enthusiastic reception at its early reveal, and we are no longer dependent on one game, project or partner. Our multi-project strategy both mitigates risks and gives our business more scalability. We have four projects in different stages of development: two bigger projects in production, and the other two in the early concept phase. – One of the big projects we are working on is for Smilegate’s hugely successful CrossFire, which for us is more like subcontracting – we receive payments based on the development work, but we also have a royalty opportunity. This naturally comes with less financial risks. When it comes to Control, we own the IP and have our publishing partner 505 Games funding part of the development and driving the marketing. We always look for the right partners for our projects, who provide us competences that increase the success potential of our games, but also balance risks. – Financially we are in a strong position, which gives us a solid background to systematically proceed according to our strategy, which is focused on creating sustainable growth. 2017 and 2018 have been the years of transformation and building the basis for our future growth, and investing in Remedy is a chance to be part of this. Vid publicering äger varken @pokertrader1 eller @talespintrading aktier i Remedy.